I am over at Penny Black Blog today as one of their Fabulous Friend for their Fun Friday Feature. Very honoured to guest design for this feature. Thank you so much for inviting me, Jill, to share my projects on Penny Black blog. Here is a sneak peek of one of my cards. 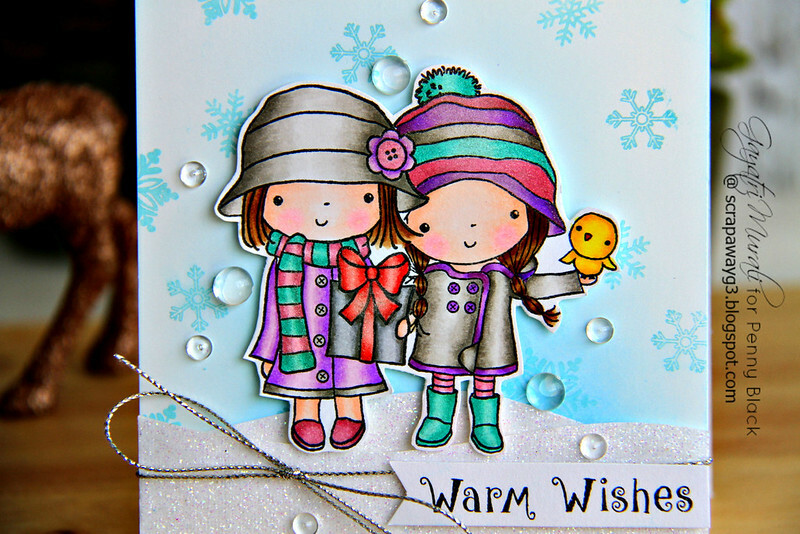 For more details and to see more of my cards, head over to Penny Black Blog. Wow!! Beautiful coloring Gayatri!! Beautiful card! totally adorable. Beautifully coloured and what a gorgeous background.